Today Stunlock Studios released the launch trailer for the anticipated MOBA and battle royale mash-up, Battlerite Royale, ahead of its free-to-play Steam launch on February 19th. The Battlerite Royale launch will coincide with a major update for the whole franchise called the BIG PATCH™, which brings Battle Season 1, map changes, items, Champions and much more. The BIG PATCH™ kicks off with the Battle Pass system, giving players an opportunity to opt for the Free Pass or upgrade it to the Premium Pass to unlock more exclusive cosmetics. Battle Season 1 will reset seasons and leaderboards in both games and newly gained season levels will carry over between the two titles. 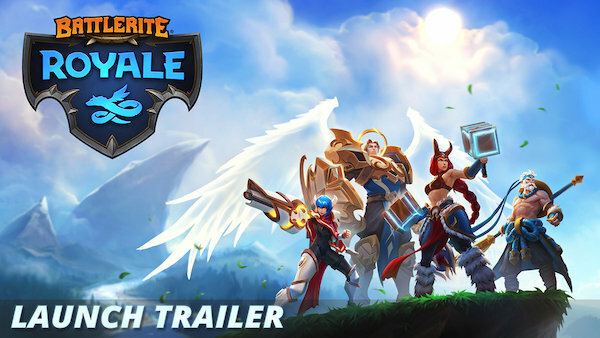 In addition to the free-to-play launch, Battlerite Royale players will encounter two new map areas, three new Champions, including Oldur, who bends time and space, Taya, who summons tornados, and Pearl, who unleashes the ocean’s fury onto her opponents, as well as the Legendary Adventure Pack 2, available as a DLC purchase. For Battlerite 2.0, the patch will introduce a variety of new features starting with Turbo Speed, which will make Champions faster and at the same time lower their health, giving front stage to juking and mindgames as a recipe for victory. The Armory feature will allow players to strategically choose one to three items for every round, to gain an edge on their opponents. Finally, as an ally dies, the Overload ability will restore player’s health and strengthen the attack while scaling down on the defence. To wrap it all up, the All Champions Pack price will be reduced from $29,99 to $19,99.